Deep in the Shambhala forest lies a special place that has quietly evolved over the years. 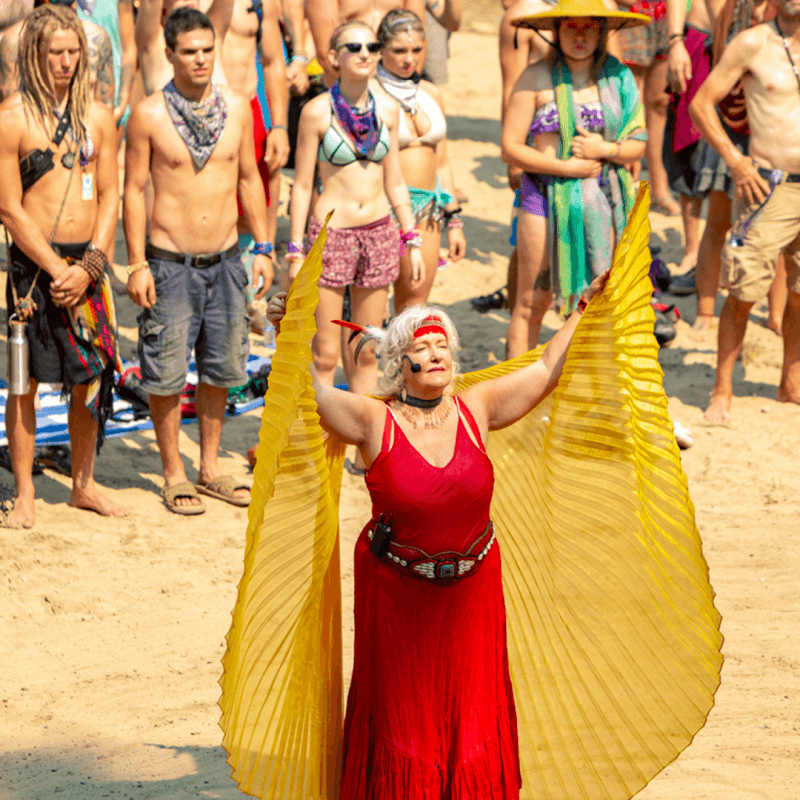 A welcoming dance floor surrounded by towering cedar trees, lush pathways, creative installations and cool forest lounge areas. 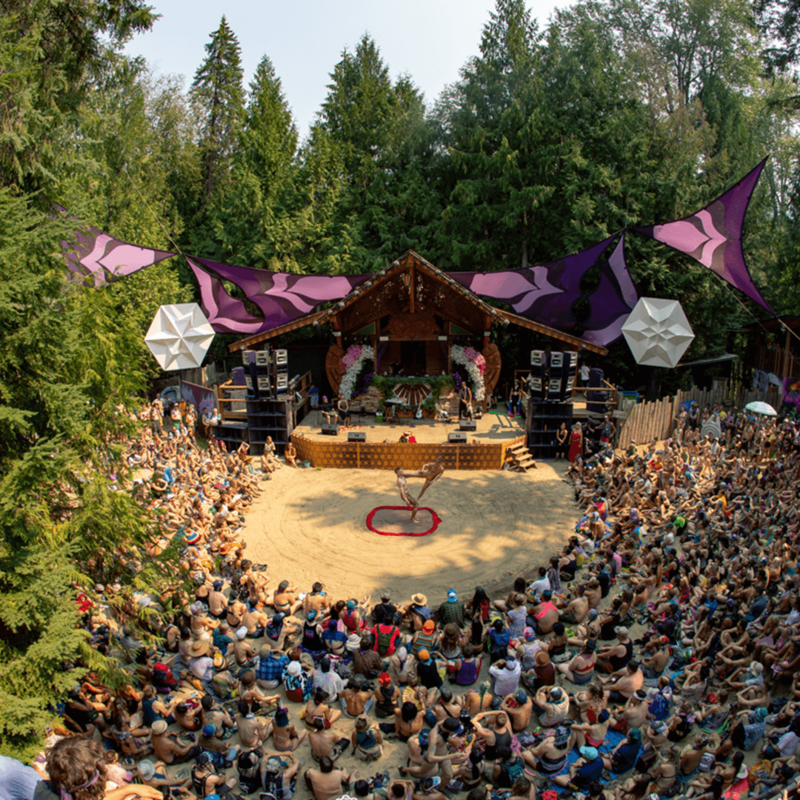 The Grove is an invitation to immerse yourself in a fully interactive environment that celebrates music and dance amongst BC’s natural setting. 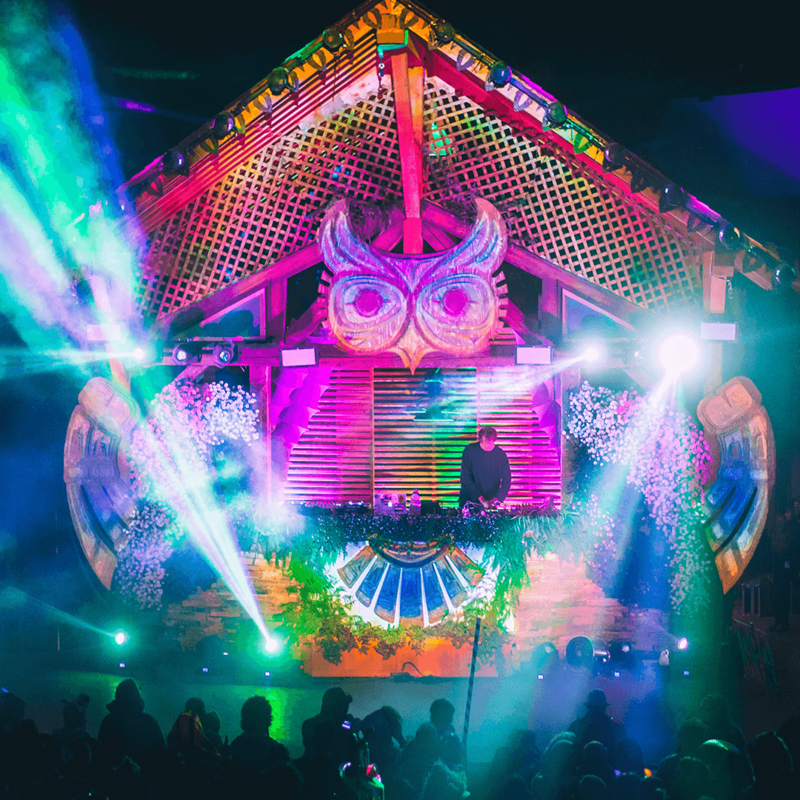 The organic stage orientation provides a beautiful backdrop to our renowned music line up and theatrical performance art. 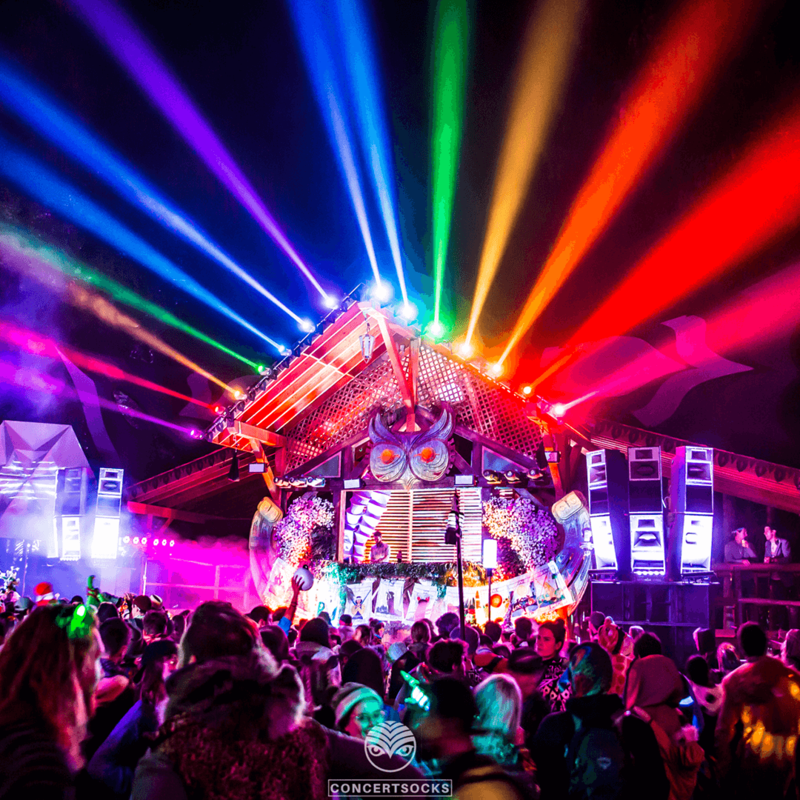 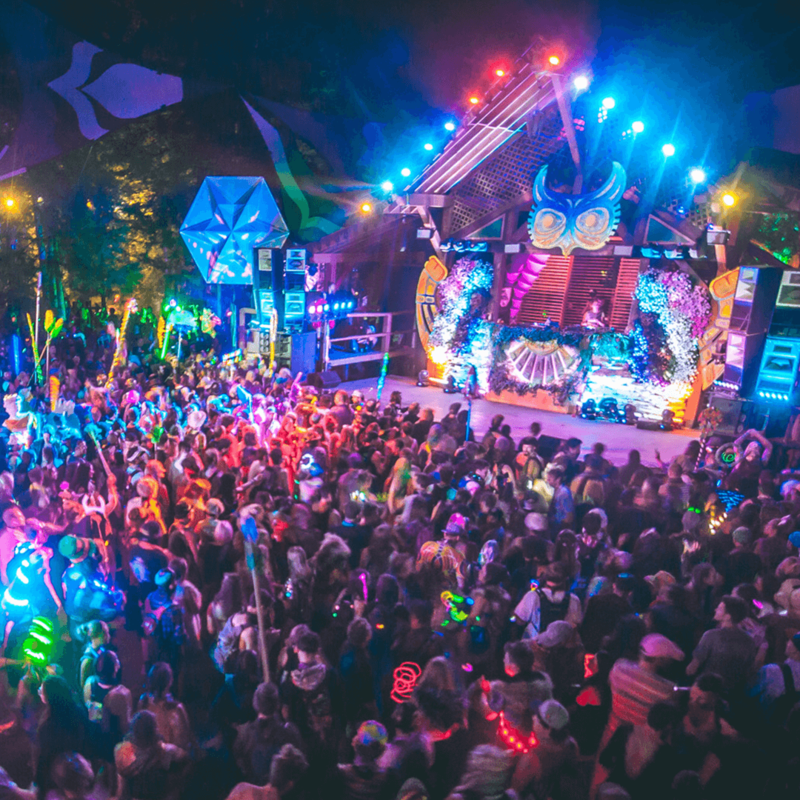 After sunset, The Grove transforms with full spectrum Funktion-one sound and state of the art lighting designed to enliven and free the senses. 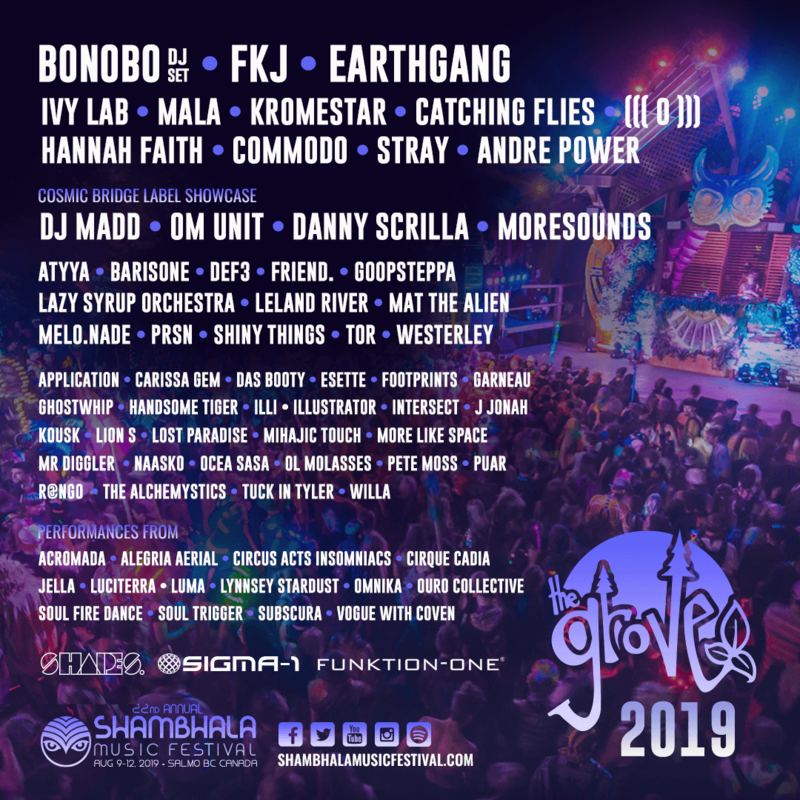 Alongside the dance floors – festival goers will undoubtedly be drawn to the Grove Art Gallery, Tea Hive and Cedar Lounge.